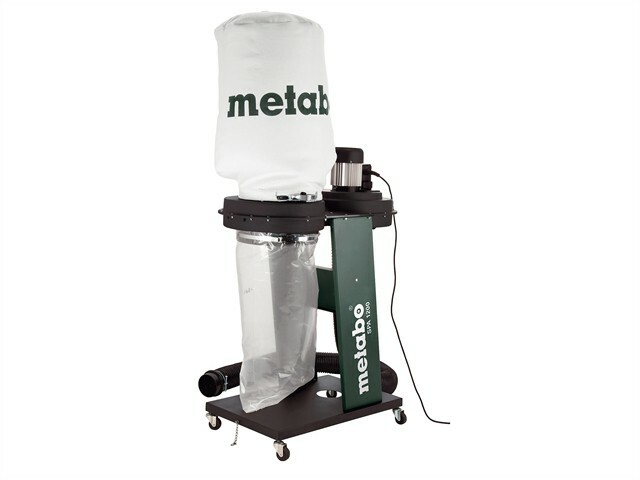 The Metabo SPA 1200 Chip & Dust Extractor System is ideal for connection with stationary and semi-stationary woodworking machines and assists in cleaning air at the workplace thanks to efficient extraction. It offers fast change of application, the mobile unit is on sturdy casters and is easy to connect up. The stable stand has a supported chip collection bag. It has a high air capacity, low working noise and long service life thanks to aerodynamically shaped fan wheel made of high-impact ABS plastic. Supplied with: 1 x Suction Hose 100 x 2500mm, 1 x Transition Ring, 1 x Needle Felt Filter Bag & 1 x Set of Chip Collection Bags.